On Lisa Rein's Radar: W00t - My First Twittered Second Life Party Invite! W00t - My First Twittered Second Life Party Invite! Me at the Second Life Salsa Party - They're line dancing! 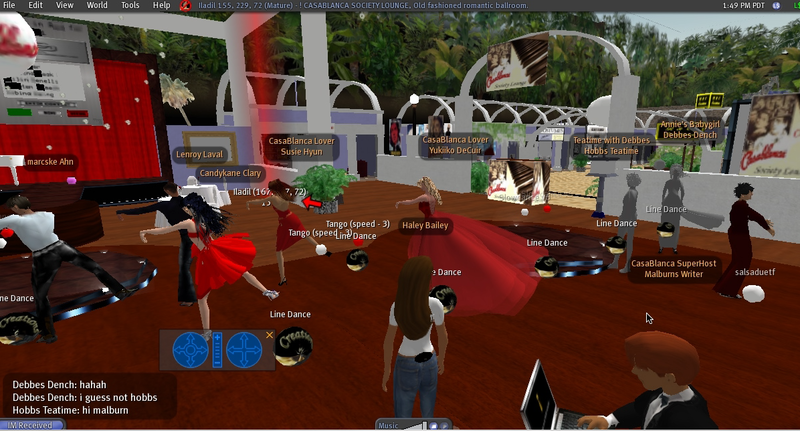 I was literally twittered in first life about a party going on in real time in second life. 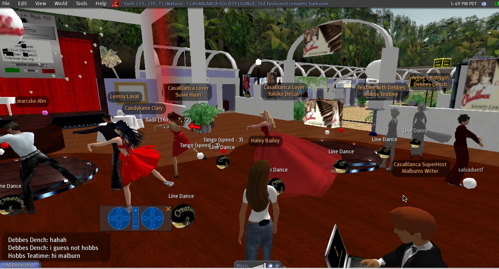 So I clicked on the slurl that was provided in the twitter post, and was teleported to the Salsa party. I'll put up a little movie I made of it tonight. But right now, on a more personal note, I must work on some actual paying Second Life consulting work. The transition is complete..w00t!